If you are driving to Alexandra House please be aware that it is located within the Congestion Charge Zone. Parking spaces in the area can be difficult to find. Normal Blue Badge restrictions apply in Queen Square and streets close to the Square. Please check the restrictions of your badge within Camden. Parking meter bays are available in Queen Square and Great Ormond Street. 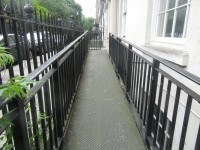 There is also a NCP underground car park at Brunswick Square. The following bus stops are available in the Queen Square area; Southampton Row - no's 59, 68, 91, 168, 188, 501. Theobalds Road - no's 19, 38, 55, 243. High Holborn / New Oxford Street - no's 8, 25, 242, 501, 521. 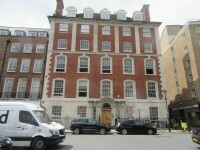 Euston and King’s Cross Station / St Pancras Station are approximately 1.2 km from Alexandra House. 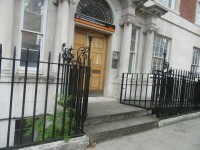 Russell Square Station is approximately 400m from Alexandra House. The name of the car park is Imperial Hotel Car Park. 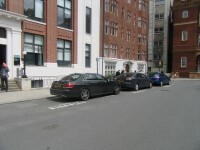 The car park is located off Guilford Street. The dimensions of the marked Blue Badge bays are 200cm x 600cm (6ft 7in x 19ft 8in). 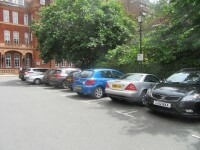 The on street Blue Badge parking bay(s) is/are located on Queen Square. 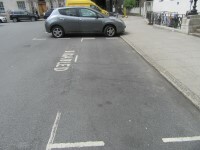 The dimensions of the standard marked parking bays are 200cm x 700cm (6ft 7in x 22ft 12in). 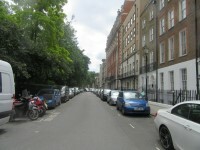 The on street standard parking bay(s) is/are located on off Queen Square. The standard bays shown in photograph 3 are for permit holder only. Those shown in photograph 4 are pay and display. 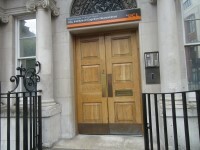 This information is for the entrance located off Queen Square. The intercom is at a height of 148cm. The width of the ramp is 102cm (3ft 4in). 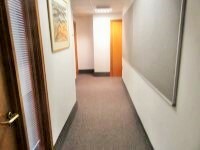 The main building reception is located to your right on entrance. 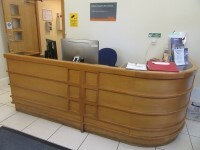 The desk is 2m (2yd 7in) from the main entrance. 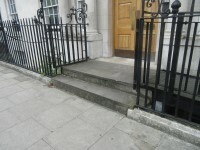 There is/are 1 clearly marked step(s), with no handrails, for access to 102, 103. There is an easy ramp, with no handrails, for access to 102, 103. 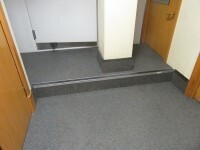 The ramp is portable and has a width of 70cm. 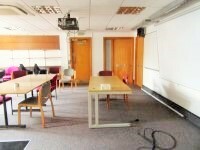 There is a similar level change to reach room 107. 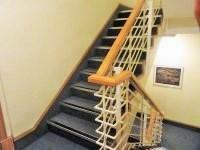 The floors which are accessible by stairs are B-G-1-2-3-4-5. 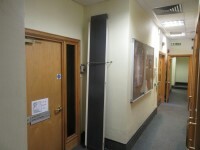 The lift is located in the entrance foyer. 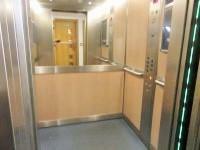 The floors which are accessible by this lift are B-G-1-2-3-4-5. 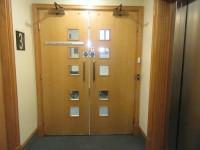 There are manual, heavy, double doors to access the lift lobby on the basement floor and from the first floor upwards. 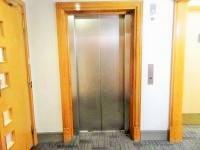 The dimensions of the lift are 100cm x 100cm (3ft 3in x 3ft 3in). This accessible toilet is located to your left on entrance. 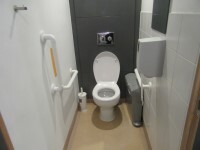 The dimensions of the accessible toilet are 160cm x 305cm (5ft 3in x 10ft). 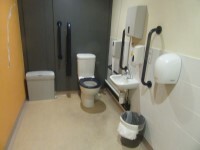 There are shared standard toilets facilities on the basement floor and the ground floor. 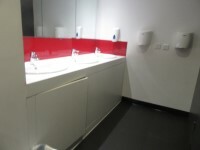 There are male and female standard toilets facilities on the first floor, the second floor, the third floor, the fourth floor and the fifth floor. The toilet surveyed is located on the basement floor. 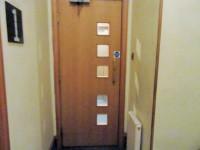 The standard toilet surveyed is approximately 3m from the lift. 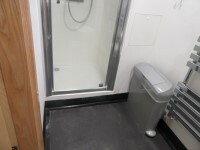 There is an additional standard toilet cubicle on the basement floor. 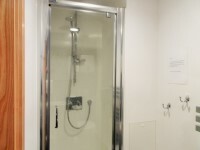 This toilet has a standard shower in it with a deep step to access it. To view the full Estates fire safety handbook/ Emergency Plan for Alexandra House please click here (new tab).